my American friend - blog | Improve your English and learn something new about America and Europe! Join the singer/songwriter Marta Innocenti and her American friend Cindy. This time our episode is about WORK. MARTA : This episode is about WORK ! CINDY : …really? Why don’t we talk about high-heeled shoes? or food? or music? Let’s have some fun! Are we really going to talk about work?? M: well, I know some people who are currently looking for a job abroad, they might need our help! Let me say “Hi” to Letizia, Laura and Elda! C : Ciao Letizia! Ciao Laura! Ciao Elda! Good luck ladies! All right, let’s talk about work. Why don’t we start with a job interview, then? M : a JOB INTERVIEW. Ok, let’s imagine that I’ve applied for a job in a company that you own. C: OK, so, you’re looking for a job, you are the APPLICANT. M: Yes, I’m the applicant. I applied for the job because I’m UNEMPLOYED, I’m OUT OF WORK now. C: and I run a small business, I’m the EMPLOYER, I’m looking for someone to EMPLOY, to HIRE. I called you for a job interview because I received your RESUME or I could also say your CV. M : yes, CV, from the Latin “Curriculum Vitae”. C : All right, are you ready Marta? C : (Sound of a door opening) Ms. Innocenti? M : Yes, that’s me. Good morning! C : Good morning, I’m The Boss Lady, the owner of this company. It’s nice to meet you. M : Nice to meet you too. C : Please come this way (footsteps). Have a seat please. C : According to your resume, you’ve worked in the Sales Department of a large company for quite a long time. M : Yes, I have many years of experience. C : Good. Our company’s goal is to expand our sales in the European and American markets, the new employee will have to help our Sales Manager take care of our customers in Europe and in the US. The position requires you to travel once a month. Would that be an issue for you? M : No, of course not. So, is this a full-time job? C : Absolutely. You will be required to work OVERTIME as well, for example, when we take part in international exhibitions. M : I realize exhibitions are a very important part of this job. That’s when you get to meet many potential customers. It’s worth working overtime. C : Good. I can see that you speak English quite fluently, can you speak any other languages? M : I’ve studied Spanish, French and some German too. C : Excellent. I’ll get in contact with you again next week and we’ll set up a second interview. If you’re chosen for this job, you’ll be paid the going rate plus benefits. M : May I ask which BENEFITS you provide? C : You will be granted full health insurance and a pension plan. C : I’ll get in contact with you next week. Thank you for coming, Ms Innocenti. M : Thank you very much. I look forward to hearing from you. C : Have a nice day! C : well, Marta, I might have decided to hire you…too bad you’re so busy doing music right now! M : yeah, I’m sorry, I don’t think I can take care of your customers now, I’m working on my new record and planning my next trip to Nashville, Tennessee! C : J even if you have to work overtime? Work DOUBLE SHIFTS? Work the GRAVEYARD SHIFT? M : the graveyard shift??! C : I haven’t even hired you yet and you’re already complaining because you want some TIME OFF ? you’re not a WORKAHOLIC, are you? M : ugh! Com’on, you haven’t even hired me yet and you’re already asking me to work double shifts! You’re a demanding boss! C : so, what else? Do you expect me to grant you MATERNITY LEAVE because you’re about to give birth to a new album? C : I was kidding, Marta. No maternity leave. M : I’ll have to RESIGN then. Ok, here’s my TWO WEEK NOTICE. C : no way, I’m not letting you HAND IN YOUR NOTICE. I’m FIRING you. C : that might be a good subject for one of your new songs! C : to APPLY for a job, to HIRE, to FIRE, RESUME, to be OUT OF WORK, BENEFITS, BONUS, PROMOTION, to work OVERTIME, the GOING RATE, to work DOUBLE SHIFTS, the GRAVEYARD SHIFT, WORKAHOLIC, MATERNITY LEAVE, to RESIGN, to HAND IN ONE’S NOTICE, to be SACKED, etc. Thank you again for your support. Keep listening to our podcast on iTunes or on Podomatic. M : Also stop by our Facebook page and say “hi”! Follow us on Twitter and browse our videos on Youtube. Thank you! Bye! EXAMPLE: I would like to apply for the job of salesperson. I have 10 years sales experience. 2.) To hire- to employ, give a job to. EXAMPLE: My supervisor hired 3 new employees for our sales department last week. This will help ease the workload for rest of the department. 3.) to fire- to terminate employment. EXAMPLE: My sister was fired from her job for making too many personal phonecalls during company time. Now she’s looking for a new job. 4.) Resume or CV- a printed list of your education & work experience given to potential employers. EXAMPLE: My mother has a very impressive & long resume (cv). She has many years of managerial experience, there are many firms that would be happy to hire her. EXAMPLE: My brother has been out of work for 6 months. It’s been difficult for him to find a new job in our town. Many firms have closed and moved overseas. 6.) Work benefits- non-wage compensation provided to employees in addition to their normal wages or salaries for example: health insurance, paid vacation, life insurance, pensions..etc.. 7.) Bonus- extra money, in addition to normal salary, usually given at the end of the year. EXAMPLE: Every year, each employee in my department is given a $200 Christmas bonus. 8.) Promotion- a higher position, usually involving more money and more responsibility. EXAMPLE: My father was given a job promotion last week. I’m happy for him. He is now supervisor of his entire department and he will receive a $5000 pay raise and 2 weeks paid vacation every year. EXAMPLE: The entire department has been working overtime for the last month. We’re working hard to finish several projects before the end of this month. 10.) the “going rate”- the average wage paid to employees for a job. EXAMPLE: The going rate for a housekeeper is 10 dollars per hour. 11.) to work double-shifts: to work two shifts in one day, to work double the hours you would normally work. My husband and I have been working double shifts all year. We’re exhausted, but we’re trying very hard to save money because we want to buy a house next year. 12.) to work the graveyard shift- to work the night shift. I enjoy working the graveyard shift at my job. It’s quiet and the company pays me an extra 5 dollars per hour in addition to my normal wage. 13.) a workaholic- someone who works a lot and rarely takes a vacation. EXAMPLE: My husband is a workaholic. He works 7 days a week & never takes a day off to rest. 14.) Maternity leave- time off (usually paid) from work to give birth to a baby. EXAMPLE: Unfortunately, my sister’s job does not offer paid maternity leave. This means she will not receive a paycheck during the time she is at home with her new baby. She & her husband will use money from their savings to help pay the bills while she’s at home. 16.) to “hand in one’s notice”: to give written confirmation of your resignation. EXAMPLE: I’ve been offered a new job overseas, so I’ve decided to hand in my notice and begin an exciting new life in another country. 17.) to be “sacked” from your job- to be fired from your job. Termination of employment. EXAMPLE: Our department manager sacked 15 employees for stealing money from the company. This time our episode is about the verb TO CATCH! We haven’t recorded a new episode in a while, we have a lot to CATCH UP ON! Marta: Today we’re talking about to catch. Marta: Cindy, hurry up! Get in here! We haven’t recorded in a long time and we’ve got a lot to catch up on! Cindy: True. It’s been a while. We have a lot to catch up on. That means we have a lot to talk about, to become up-to-date on current events. Cindy: BUT there will be no catching up without a cup of coffee first! Cindy: Here’s your coffee. Hey, what’s that song you’re humming? Is that from your new album? I love it! It’s really catchy! Marta: Yeah, it’s called “Back in the Saddle” and yes, it will be on the new album. What do you mean by ‘’really catchy’’? Cindy: That means it’s instantly likeable! It makes me want to sing along with you! It’s a catchy tune. Marta: Well, thank you. I’m very excited about this album. Just please don’t start singing Cindy, because you’ll break the microphone & we still have an entire podcast to record! Cindy: It’s absolutely true. So, let’s catch up. What’s new in your life? Marta: Well, I’ve been to “Music City” USA… Nashville, Tennessee baby!! Marta: Actually, we didn’t catch anyone because we were so busy PLAYING (music)! Cindy: I’m glad you had the chance to play Nashville. You deserve it. I bet you can’t wait to catch the next plane back to Tennessee? Marta: And I’m happy to say that this April I will be on the next plane back to Tennessee! Cindy: That’s wonderful! Oh, and that reminds me I want to catch the 5 o’clock train back to Bologna tonight. Marta: Are you going to catch up with your husband after work? Cindy: First, I want to do a little Christmas shopping. I’ll catch up with my husband for dinner later on. Marta: It’s very cold & rainy tonight. Dress warmly or you’ll catch a terrible cold! Cindy: Oh I know! I caught a cold last week. It was awful! Marta: Uh Cindy, take your microphone and go stand over there. I don’t want to catch your germs. Cindy: Wait! What are you doing? I’m not sick anymore! Stop spraying me with disinfectant! Marta: Keep your germs on that side of the room! Marta: Why do you need to go shopping tonight? (thunder) Go tomorrow, maybe it will be sunny? Cindy: No, I REALLY need to catch that 5 o’clock tonight. Marta: Are you buying more shoes? Cindy: Ok, Ok, listen to me! Huge clearance sale. Leather boots. Name brands. Everything in the store- 75% off the original price. Marta: We need to catch that early train! Cindy: Thanks for listening everybody! Catch up with us later on our Facebook Page or come visit our blog at www.myamericanfriendblog.com. Previous episodes of ‘’my American friend Podcast’’ are available for download on Podomatic & iTunes. 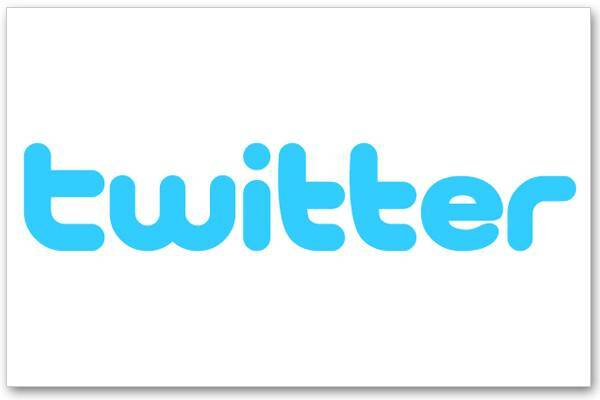 Marta: Come follow us on Twitter and browse our videos on Youtube. Cindy: Marta & I want to wish all of you a happy & healthy holiday season. Thank you for all your support & kind words. Best wishes from our families to yours. Thank you for listening everyone. To have a lot to catch up on– to have a lot to talk about, to have many work projects to finish. EXAMPLE: The company meeting will be longer than usual because we have a lot to catch up on today. EXAMPLE: I haven’t spoken with my friend Susan in three months. We have a lot of gossip to catch up on. Susan has a new boyfriend and a new job. We’re planning to have dinner next week so she can tell me everything! A catchy song, a catchy melody– a song that is instantly likeable. A song that makes you want to dance or sing along the first time you hear it. EXAMPLE: That new One Direction song is so catchy! I can’t get it out of my head. I found myself singing it in the shower and again while driving to work. Let’s catch up- let’s talk about what’s new in our lives. EXAMPLE: I haven’t seen you in 3 months! Let’s catch up, tell me everything that’s going on in your life. I heard that you’ve broken up with your boyfriend?? Tell me what happened! Did you catch a show/a movie?- Did you see a show/a movie? EXAMPLE: Did you catch the new Jennifer Lawrence movie yet? Is it good? We’re going to see it next week. To catch the next train- to get on the next train. EXAMPLE: Today is my mother’s birthday. We’re taking her out for dinner at 7:30pm. I must catch the next train home or I’ll miss her birthday dinner. Catch up with you later- See you or talk to you later. EXAMPLE: I’m driving right now so I can’t talk to you. I’ll catch up with you later, okay? I’ll call you when I get home, around 6 o’clock? To catch a cold- to contract a cold. EXAMPLE: It’s cold & rainy outside. Dress warmly tonight or you’ll catch a terrible cold! To catch germs- to contract germs, to become infected with. EXAMPLE: I don’t want to catch your germs! Cover your mouth when you cough! It’s not catchy- it’s not contagious. EXAMPLE: My head cold is over, I was sick two weeks ago. Don’t worry, it’s not catchy. You won’t get sick from me. I’ve recovered completely. EXAMPLE: We’re meeting up for a pizza at 7pm. I know that you’re working late tonight, but try to catch up with us later at the pub. A bunch of us are going & everyone would love to see you! It will be a lot of fun! This time our episode is about MONEY. M : This episode is about MONEY ! M : First of all : Money is UNCOUNTABLE. C : Exactly- because I have none. I can’t count what I don’t have! M: That’s not what I meant! C: Alright, MONEY is UNCOUNTABLE. We can’t say one money, two moneys…, we can count Dollars, one Dollar, two Dollars…or Euros: one Euro, two Euros… but money is an abstract notion and it’s an uncountable noun. That’s why we say: money IS, not money are. M : Now let’s talk about CASH money, for example, here’s my wallet. C: You have money in your wallet?? C: I have spider webs in mine. Ok, Marta, that’s paper money. BILLS. We call them bills. For example: a 10 dollar bill or a 20 Euro bill. Ok. That’s metal currency instead. We call those small metal pieces COINS. M : Ok, bills and coins. The one dollar bill can be called a BUCK, right? M : Sure! 10 bucks for you Cindy, here you are. C : Can you lend me a BENJAMIN ? C : that’s a nickname for the $100 bill, because Benjamin Franklin is pictured on the bill. M : ok, so if you mention “Benjamins” you are referring to hundred dollar bills. And the answer to your question is: no, I’m not giving you a Benjamin, sorry. C : alright, I was just kidding. Now let’s talk about coins. They have nicknames too. A 1 cent coin is a PENNY. A 5 cent coin is a NICKEL, a 10 cent coin is a DIME and a 25 cent coin is a QUARTER. M : Right. 1 cent Penny, 5 cent Nickel, 10 cent Dime, 25 cent Quarter. M : ….a dime… 10 cents. Yes, sure! C : I tried! Talking about coins, sometimes we toss a coin to make a decision in a neutral way. That’s what happens in sports, for example, the referee tosses a coin at the beginning of a match to see which team is going to start first. M : Ok, let’s toss a coin to decide who is going to talk about idioms regarding money. C : Heads or tails, Marta? That means the face, the head, of the coin or the other side of the coin? Heads or tails? C : Ok, tails for me. Let’s see. Tails. M : Ok, you won. So go ahead, give us an idiom about money. C : All right. I know 3 idioms about money mentioning body parts. TO COST AN ARM AND A LEG. That means to cost a lot! For example: My new laptop computer cost me an arm & a leg. M : To cost an arm and a leg. Ok.
C : Another one is: TO HAVE AN ITCHY PALM. That means to ask for tips. For example: That valet has an itchy palm. His hand is always out, asking for money. M : To have an itchy palm, got it. C : Third one: TO HAVE STICKY FINGERS, to be a thief. For example: The new shop assistant has sticky fingers and many items in the store have disappeared. They’ve stolen many items from the shop. The shop assistant has “sticky fingers”. C : Marta? … hey… a penny for your thoughts. M : …oh, yes, the Rolling Stones, that’s where I heard Sticky Fingers before. Now I remember. C : yes, you’re right. M : by the way, what did you mean when you told me “A PENNY FOR YOUR THOUGHTS” ? C : that’s another idiom. It’s a nice way of asking someone what they are thinking. Penny for your thoughts, what are you thinking about? M : a penny for your thoughts. Nice one. I like it. C : ok, Marta, let’s move on, we have to hurry up. C’mon, TIME IS MONEY. M : yeah, that’s another idiom I’ve heard many times, time is money. C : Time is valuable, so don’t waste it. Time is money. M : Another idiom I’ve heard is MONEY DOESN’T GROW ON TREES. C : yeah, it doesn’t, so be careful, do not spend your money like there’s no tomorrow, because you only have a limited amount of money. Money doesn’t grow on trees. If you’re not careful, you can end up BROKE. You can GO BROKE. M : That means to lose all of your money. To become bankrupt. To go broke. C : Exactly. When you have no money left you are DOWN-AND-OUT. M : that reminds me of a song… “Nobody knows you when you’re down-and-out”. Eric Clapton’s acoustic version is just wonderful. C : it’s sad but true, when you’re down-and-out -when you have no money left- only a few good friends stick around to help you, the other people kind of disappear. On the contrary, if you have a lot of money you have the power and the influence to get things done. That’s what we mean when we say MONEY TALKS. Wealth helps to get one’s own way. C : Marta, how do you feel about money? M : well, as long as I earn enough money to live I’m ok.
C: you mean: TO MAKE A LIVING. We all have to work hard to make a living nowadays, because the cost of living is getting higher and higher. Sometimes it’s hard to MAKE ENDS MEET. M : to MAKE ENDS MEET ? C : yeah, to pay for your monthly expenses, the rent, the telephone bill, pet food and so on. Well, I hope our listeners are not struggling to make ends meet, I hope they have enough money to make a living and make their dreams come true. C : BILLS, COINS, BUCKS, BENJAMINS, PENNY, NICKEL, DIME, QUARTER, HEADS OR TAILS, TO COST AN ARM AND A LEG, TO HAVE AN ITCHY PALM, TO HAVE STICKY FINGERS, A PENNY FOR YOUR THOUGHTS, TIME IS MONEY, MONEY DOESN’T GROW ON TREES, TO GO BROKE, TO BE DOWN-AND-OUT, MONEY TALKS, TO MAKE A LIVING, TO MAKE YOUR DREAMS COME TRUE. M : Thank you again for your support. Keep listening to our podcast on iTunes or on Podomatic. C : Also stop by our Facebook page and say “hi”! Or follow us on Twitter, or browse our videos on Youtube. Thanks for listening everyone! Now, Marta, let’s go and have lunch. M : Ok, let’s go, I’m buying. C : No, you don’t need to. Let’s go Dutch. Let’s share the cost of the meal. Let’s go Dutch. M : No, really, I’m buying. I have a Benjamin. C : you have $100 ? Did you break your piggy bank or something?? Ok, “Miss Moneybags” then you can pay for dinner too! M : uh! C’mon, let’s go. Bye everybody, see you soon! EXAMPLE: He kept a stack of $100 bills in his bank vault. EXAMPLE: Do you have any coins for the parking meter? It doesn’t take paper money, only coins. 3. BUCKS- informal word for dollars. EXAMPLE: John is making big bucks in his new job! He’s bought himself a new car and a whole new wardrobe with his new salary. 4. BENJAMINS– slang word meaning hundred dollar bills. EXAMPLE: He walked into the club with a stack of benjamins and paid for everyone’s drinks. 5. PENNY– 1 Cent coin. 9. HEADS OR TAILS?- a neutral way to make a decision, leaving the decision to be decided by the toss of a coin. 10. TO COST AN ARM AND LEG- expensive. EXAMPLE: My high credit card bills are costing me an arm and a leg every month. 11. TO HAVE AN ITCHY PALM– to always have a hand out, asking for money/tips. EXAMPLE: That valet is annoying, he has an itchy palm. He’s always looking for a tip. EXAMPLE: The new shop assistant was fired for having sticky fingers. She stole nearly $500 bucks worth of merchandise during her first week of work. When the owner realized this she was immediately fired. 13. A PENNY FOR YOUR THOUGHTS– what are you thinking right now? EXAMPLE: You look worried. A penny for your thoughts? What’s the problem? 14. TIME IS MONEY– Don’t waste time because it is valuable. EXAMPLE: Let’s go! Time is money! We must finish this job as soon as possible because we have another job waiting for us. If we are late, we may lose our next client. 15. MONEY DOESN’T GROW ON TREES– money is not plentiful, not easy to earn. We must work hard to earn money. EXAMPLE: No, I can’t buy you BOTH a new computer AND an iPhone. Money doesn’t grow on trees. I will have to save 2 months’ salary just to afford a new laptop. I’m sorry, but the iPhone is not possible right now. EXAMPLE: If you keep gambling every night at the casino you’re going to go broke by the end of the month. 17. TO BE DOWN-AND-OUT– to be out of money, depressed, broke, in a desperate financial situation. EXAMPLE: John has been down & out ever since he lost all his money in the stock market 5 years ago. 18. MONEY TALKS– money can influence, persuade people. EXAMPLE: After 10 years, the building project was accepted because huge money bribes were paid to local politicians and officials. Unfortunately, money talks in this day and age. 19. TO MAKE A LIVING– to earn enough money to pay bills and sustain yourself on your wage. EXAMPLE: With a Law degree, Susan will make enough money after university to make a good living for her and her family. 20. TO MAKE YOUR DREAMS COME TRUE– to make your dreams a reality, to achieve your goals. EXAMPLE: With a good job, John will make his mother’s dreams come true. His mother has always dreamed of owning a house. If he earns a good wage, he can one day buy his mother a small house. Listen to Cindy and her friend Christine talking about the traditional THANKSGIVING day menu. Marta: This episode is about THANKSGIVING. Marta: Hey everybody, I’m so sorry but I have a cold! So, I have no voice- at all today. I think I’d better leave you with Cindy this time, right? Cindy: Hey everyone! I’m here today with my friend Christine who’s an American artist living & working in Bologna, Italy. Hey Christine, thanks for being with us here today to talk about THANKSGIVING. Christine: Hi Cindy, thanks for having me. Cindy: Christine, what is THANKSGIVING? Christine: American Thanksgiving, it’s a national holiday celebrated in November to commemorate the arrival of the Pilgrims to North America. They celebrated, with the Native Americans, the harvest. Cindy: And when did it become a national holiday? Christine: It first became a national holiday under Abraham Lincoln. Cindy: Ok, let’s get to the good stuff- what was on that first menu? Cindy: …now, ‘’venison’’ is deer? Cindy: …and by ‘’fowl’’ you mean wild birds? Cindy: So, a pretty simple menu? Christine: Yes, what they had at the time. Cindy: Does any of that remain today, on the American menu? Christine: Well, the most important part of the menu remains the turkey. So today we have the turkey and then the side dishes which are sweet potatoes, cranberry sauce, stuffing, gravy and for dessert: pumpkin pie. Cindy: Alright, let’s explain ‘’stuffing’’ a little bit better. What is stuffing? Christine: Stuffing, it’s seasoned, cubed bread and some people put it in the turkey, others leave it on the side. Cindy: Is it mixed with any vegetables? Christine: Yes, carrots, onions, celery. Cindy: And I know in some parts of America they even put oysters into the stuffing. Christine: Yes, let’s say depending on your family the recipe changes from family to family. Cindy: Now, I know that Thanksgiving is very important to you and your family. How did you celebrate Thanksgiving when you were growing up? Christine: It was very important, and it still is, to my family. But I would say that all Americans celebrate and that’s what makes it important because it’s not religious, it’s centered around food and being thankful. It has a set menu and whether you’re with family or friends- everyone celebrates. Cindy: It’s not religious. It’s not a religious holiday. Cindy: I’ve spent a lot of beautiful Thanksgivings with my neighbors and friends. Now, how will you be celebrating Thanksgiving here in Italy this year? Christine: This year, I’m going to have Thanksgiving dinner with Italian friends. So now I’m trying to gather all the authentic ingredients so I can make the meal. Cindy: Is it easy? Have you been able to find everything you need? Christine: Well, in fact, the turkey is a problem because they’re quite large birds and I’m afraid it might not fit in the Italian ovens. Cindy: (laughs) That’s good. And what other things will you have besides the turkey? Christine: Sweet potatoes, I’ve found sweet potatoes. I’m looking now for cranberry sauce but I think I might have to use a substitute. Cindy: There are some good substitutes out there. And what else? Are…will you have stuffing? Christine: I’ll have stuffing. That’s easy to make. Also, pumpkin pie. I can find pumpkins here and I’ll roast it and make my own pie. Christine: (laughs) Sure! Everyone’s invited, it’s Thanksgiving! Christine: Thank you, Happy Thanksgiving to you too. Cindy: Thanks for being with us here today. Cindy: Ok listeners, that’s all for now. You can read the transcript of this episode on our website: www.myamericanfriendblog.com. Thanks for liking us on Facebook, following us on Twitter, watching our videos on YouTube and listening to our podcast on iTunes and Podomatic. Marta: Thank you everybody and Happy Thanksgiving! You can visit our special guest, American artist Christine Boya, on her website at: www.tinyartpress.com. Christine is an accomplished artist living & working in Bologna, Italy. On her site you can read her bio and view her extensive collection of lovely handmade prints and greeting cards. Thanksgiving- American holiday celebrated on the 4th Thursday in November. The first Thanksgiving took place in 1621 when the Pilgrims, together with Native Americans, celebrated their first harvest in the New World. Modern day Thanksgiving celebrations are centered on family, friends, food and being grateful for what you have in life. A non-religious holiday, everyone celebrates Thanksgiving regardless of religious affiliation. Roast Turkey: traditionally, turkeys are roasted in the oven but in some parts of America turkeys are marinated and deep fried in hot oil. Deep frying the bird reduces cooking time and produces moist, succulent meat. Stuffing (also called ‘’Dressing): cubed, seasoned bread mixed with various ingredients and cooked either inside the bird or in a separate dish. Common ingredients added to Stuffing are carrots, celery, onion, mushrooms, broth and butter. Recipes differ from family to family. Sweet Potatoes: nutritious, sweet orange-fleshed potatoes served boiled, roasted, fried or baked whole. White Potatoes: white fleshed potatoes served mashed with butter, roasted or baked whole. Green Beans or String Beans: long, thin green beans served in their pods. The entire bean and pod is edible. Gravy: a thickened sauce made from vegetables and pan juices left over from roasting the turkey. A bit of flour & butter are usually added to thicken the sauce. Marta: Today we’re talking about DEATH: The Halloween Episode! Marta: Hi Cindy! Happy Halloween! Cindy: (muffled) Happy Halloween Everyone! (spits out fake Dracula teeth) I said, Happy Halloween Everyone! Marta: What in the world are you wearing on your teeth?! Cindy: These are my Dracula teeth! (Cindy puts teeth back in) For Halloween! Marta: Take those out! I WOULDN’T BE CAUGHT DEAD WITH YOU looking like that! They’re horrible! Cindy: All right, all right! I’ll take them out. Cindy: I know, I know “…because you wouldn’t be caught dead with me wearing them.” That means she’s embarrassed to be seen with me. Cindy: Come on! just watch my pet Scorpion while I’m gone. Marta : Are you trying to SCARE ME TO DEATH!? You know that bugs scare me to death! Cindy: Happy Halloween! I need to go brush my teeth. Relax, it’s not a real Scorpion…look!…he’s only rubber! Touch it! Touch it! Marta: Is there anything left at the 99 Cent Store? Or did you buy every last disgusting thing in there? Marta: That girl is going to scare me to death! Yuck! Scorpions! Cindy: (footsteps return) Ok, I’m back. Are you okay? Marta: Empty your pockets! Do you have any other disgusting things with you? Cindy: No, nothing. My pockets are empty. I swear. Cindy: Y’know, I just didn’t want you to be BORED TO DEATH! Cindy: Yeah, you’re here in the recording studio, day in and day out. I was worried you might be tired of it, bored to death? Mr. Giant Scorpion is here to keep you company! Marta: Boredom is not the problem! Cindy: Check out our Facebook page later everyone and I’ll post a picture of Mr. Giant Scorpion. Marta: ….and then Mr. Scorpion is going to disappear for a very long time. Cindy: You’re a bug hater. Hey Marta! I do have one more thing in my bag and it’s not disgusting! Cindy: In fact, it’s pretty awesome! I have in my hands your new album 12n (Twelve Notes) “Country Made in Italy”. It’s a fantastic album! Congratulations you did a great job! I love it. Marta: Well, thank you! I’m so excited about this new album. We’re shooting the videoclip right now. It’ll be out in a month. I think everybody’s going to enjoy it. Cindy: And how can we view the video when it’s ready? Marta: on our youtube channel. It’s 12ntv. 1 2 n t v. go check it out, there’s the making of of the CD, we had such a great time in the recording studio. Cindy: And I love the cover photo and the mini-poster inside. You look hot! Marta: Thanks, we had a lot of fun doing that photo shoot. Cindy: The photo is beautiful. YOU LOOK DROP-DEAD GORGEOUS! Cindy: We say ‘’drop-dead gorgeous’’ to say that somebody is really beautiful, stunning, drop-dead gorgeous! Marta: And what about my husband? I think he looks so handsome in his cowboy hat & boots. Cindy: Bellissimo! Very handsome! It’s amazing because when he wears that cowboy hat, he is a DEAD RINGER for Tim McGraw the American country singer. Marta: A dead ringer for Tim McGraw. That’s good right? Cindy: Yes it is! That means he looks just like Tim McGraw. He could be Tim’s stunt double! He’s a dead ringer! Marta: He’ll be happy to hear that! Cindy: And when he does his impression of Johnny Cash singing the country western song “Ring of Fire” he is DEAD ON! Marta: So if we say ‘’His impression of Johnny Cash is dead on.” That means he does an exact impression of Johnny Cash, he sounds just like the real Johnny Cash. Cindy: Exactly! His impression of Johnny is dead on! Marta: He’ll be happy to hear that as well! He’s a big fan of Johnny Cash. Marta: it’s on iTunes. Just search for “Country made in Italy” by 12n (twelve notes), that’s 12n, 1 2 n.
Cindy: Perfect. Check it out everyone. It’s a great album. Marta & FedeRock have put every bit of their heart & soul into this album and it’s pretty amazing. My compliments to you on a job well done. Marta: Thank you so much…you’re not going to pull another giant scorpion out of your pocket now, are you? Cindy: No! You’re safe! But, I think the show has COME TO A DEAD END here. Marta: It has come to a dead end, right. It’s time to wrap it up. Cindy: It’s time to wrap it up and end this episode. It’s Halloween and I need to get home so I can hand out candy to all the little trick-or-treaters. Marta: Happy Halloween and thanks for listening everyone! Cindy: Happy Halloween and come visit us on our blog at www.myamericanfriendblog.com. You can also listen to previous episodes of “my American friend” on Podomatic & iTunes. And don’t forget to stop by and say hi on our Facebook page and follow us on Twitter! Marta: It sounded like the doorbell. Cindy: (doorbell rings again) Who could it be? Nobody knows we’re here. Did you order a pizza? Cindy: Don’t answer it! Maybe they have the wrong door. Cindy: Oh my gosh! It’s an envelope! Marta: It’s got your name on it! Cindy: And it’s written in red! Oh my gosh! Who’s doing this? Don’t open it!!!! Marta: (sound of Marta tearing open the envelope) Oh no! Cindy: WHAT? What is it? Marta: It’s from your credit card company. This time our episode is about the verb TO WISH. M: Today’s episode is about “TO WISH” ! C : “when you wish upon a star your dream comes true”, well, it’s August and there are a lot of shooting stars right now, we should all give it a try and WISH upon a star, MAKE A WISH listeners! M : I think the best thing in making a wish is that you take a moment to think about what it is that you really want. C : Yes, that’s important! Be careful what you wish for when you see a shooting star! M : Ok, let’s take a look at this verb, to wish. C : first off, we can use it to WISH SOMEONE WELL. Like in: “I wish you all the best in your new job!” or “I wish you well with your career”. C : yeah, Marta, thank you, but… it’s August though. M : Ok, it’s not the right time of the year, right. So, to wish someone something. C : uh-huh, but we can also use the verb to wish TO EXPRESS REGRETS both for the present situation and about the past. Marta, try and give us an example. M : …how about: “I wish I lived in Nashville” ? C : ok. Where do you live? C : So when you say “I wish I lived in Nashville” you refer to the present situation. M : Yes, but I have to use the simple past of the verb, I wish I lived in Nashville. C : Exactly. Let me think of another example…you’re allergic to grass pollen, aren’t you? M : Yes, I am, unluckily. So… I wish I could enjoy springtime in the open air, but I can’t. C : I wish I could, right. C : Pink Floyd, great song. “how I wish you were here”, again, we use the simple past to talk about the present situation. I wish you were here right now. Can you think of another example? M : I wish I was taller! C: com’on, you’re not that short! M : but I’m not tall either. I wish I was taller. C : You can also say: I wish I were taller. I WISH I WAS, I WISH I WERE, both forms are correct. I wish I were is more formal. So… for example… it’s overcast today. I wish it was sunny, or I wish it were sunny. C : Now let’s talk about past regrets. Like in: I wish my team had won the championship. That means: my team didn’t win. I wish it had. M : we use the past perfect here. C : past perfect, good. For example: I wish I had chosen another school when I was in my teens”. Or: I wish you had told me about it before”. M : we can also use “IF ONLY” instead of wish, correct? C : Yes. Using the past perfect when talking about past regrets : If only I had chosen another school when I was in my teens! Or : if only you had told me about it before! And using the simple past when talking about the present situation: if only I was taller! If only I lived in Nashville ! M : or : If only I had more time to study English! That is: I wish I had more time to study English! C: Well, friends, that’s all for now. We wish you the best of luck in your English journey and we hope that you can find enough time to listen to our podcast and practise the language! 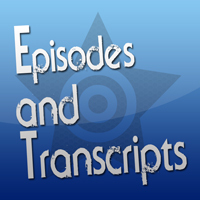 Previous episodes are available for download on Podomatic and iTunes. M : Also, stop by our Facebook page and say “hi”! C : Or log onto our blog at www.myamericanfriendblog.com . Follow us on Twitter, or browse our videos on Youtube. Thanks for listening everyone! M . wishing you all the best. See you soon!